ALLEN Career Institute organized a grand honoring & mentoring ceremony to reward the nationally/ internationally acclaimed academically brilliant students from classes 5th to 12th of the country on Sunday 21st August 2016, at UIT Auditorium, Kota and rewarded them with exciting prizes. On this special occasion, students were honored along with their Parents for commemorating their contribution in the child’s development. As per Sh. 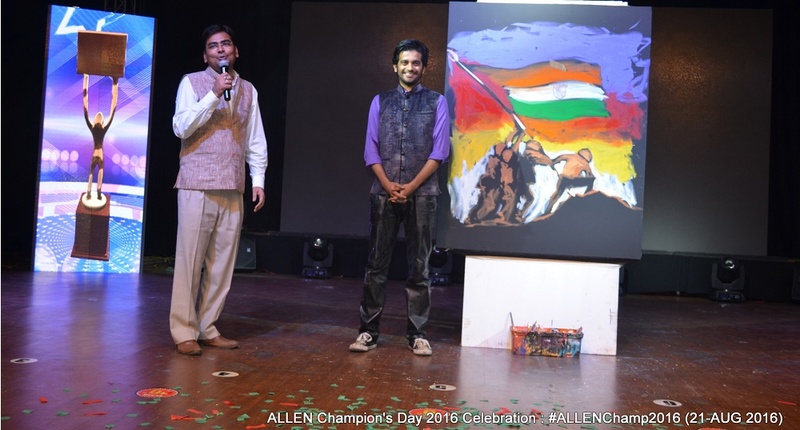 Naveen Maheshwari, Director ALLEN Career Institute, this was the 3rd edition of ALLEN Champ which was first launched in 2014 under ALLEN’s Corporate Social Responsibility to motivate the national talented students to perform better in their future academic career. The winners received rewards like cash prizes, certificates, champion’s trophies and various scholarships by renowned dignitaries namely Prof. OPN Calla, Director, International Center for radio Science, Ms. Nandini Harinath, Scientist, Indian Research Space Organization, Dr. Prabha Yadav, head, Department of Plastic and Reconstructive Surgery, Tata memorial Hospital Mumbai, Prof. N.P. Kaushik, Vice Chancellor, RTU. 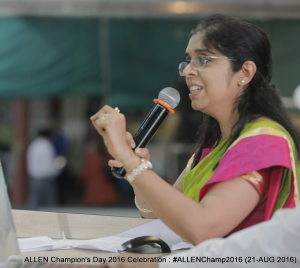 During the event Guest of Honor, Ms. Nandini Harinath, Scientist, ISRO stated ALLEN as an Incredible Institute. She gave a presentation to the students on the topic Mission of Mars (MOM) and explained to the students how tough it was for her along with his team to plan and visit the planet Mars. She shared what all challenges scientist face usually while planning these kinds of visits. She shared to the students about how difficult it was while communicating with her team member who were there at Mars; it usually took 20 minutes to her to communicate a message. She even stated that currently India is working on some other these kinds of missions for some other planets and will be launching them very soon. The Event witnessed the outstanding performances of the Vilas Nayak who was a finalist of ‘India’s Got Talent’ Season 3 reality show on Colors TV and also Winner of ‘Best Innovative Act in India’. He made everyone marvel at his speed and precision with which he painted 2 masterpieces. 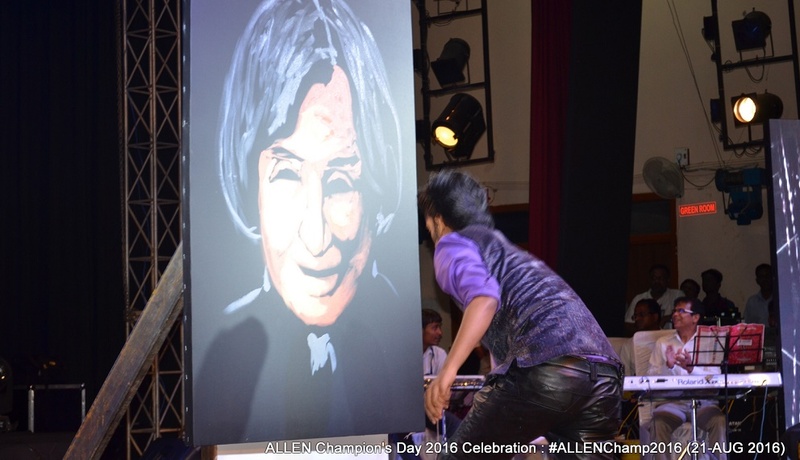 APJ Abdul Kalam – In his first act, Vilas Nayak painted a breathtaking picture of Dr APJ Abdul Kalam in mere 6-7 minutes where later conveyed how he idolizes him in life. Indian Soldiers- In this painting, he painted the Indian Soldiers with Indian Flag on a mountain and later explained that the inspiration behind it are our Soldiers working for our securities in the extreme climate conditions across various borders of our country. Along with him the Prince Dance group, the winner of the reality-talent show, ’India’s Got Talent Season 1’ made people astonished with their exceptional group performances. 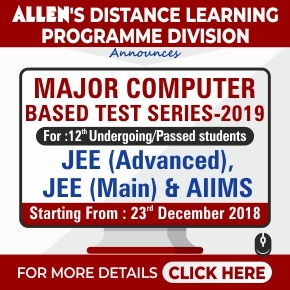 ALLEN Champ Ranks 1 were bagged by: Yash Mishra (Class 5th), Sheetal (Class 6th), Jeevesh (Class 7th), Vaibhav Raj (Class 8th), Nishant Abhangi (Class 9th), Lay Jain (Class 10th), Anand Iyer (Class 11th) and Samanvaya Sahu (Class 12th), were rewarded with a Cash reward of Rs 1.5 Lakh, Gold Medals of 15 Gms, Champion’s Trophy and Certificates and special monthly scholarship. Special jury members analyzed the entire personality of the shortlisted students on the basis of their General Knowledge, General Science, and Team Activity & Situational Intelligence in ALLEN Champions Day. It is worth noting that all the Rank 1 to 10 were rewarded monthly scholarships of Rs. 2000 ( for class 9 to 12 ) and Rs. 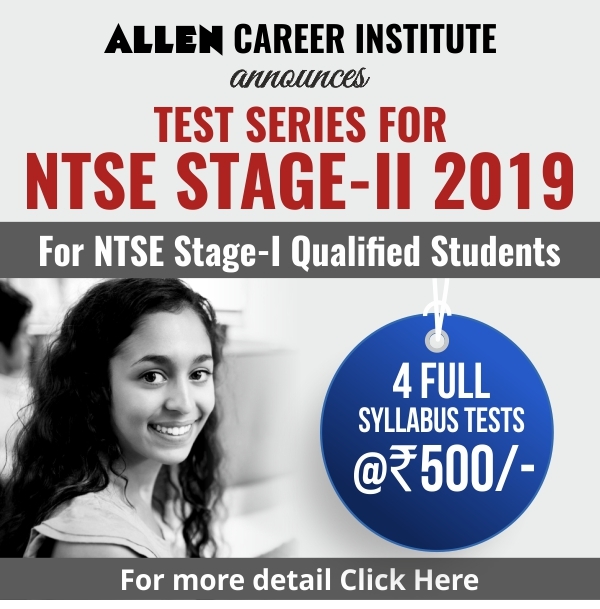 1000 ( for Class 5 to 8th ) by ALLEN Career Institute. The students of classes 5th to 12th who stood on ALLEN Champ Rank 2nd, received cash prizes of Rs 1,00,000 along with Gold medal, Champion’s Trophy ,certificates and monthly scholarships. Similarly, 3rd Rankers of each class were awarded with cash prize of Rs 51,000, Silver medal, Champion’s trophy, certificates and monthly scholarships. Students from rank 4th to rank 10th of every class received Cash prize of Rs 21,000, silver medal, Champion’s Trophy and certificates. 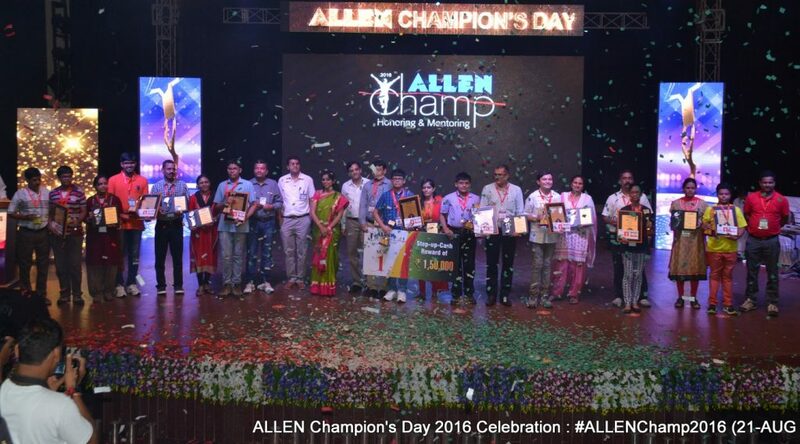 Parents of all ALLEN Champs were honored with Mementoes and certificates; ALLEN Gurukul Trophies were given to their schools. ALLEN Career Institute honored the Guests who were specially invited to grace the occasion. 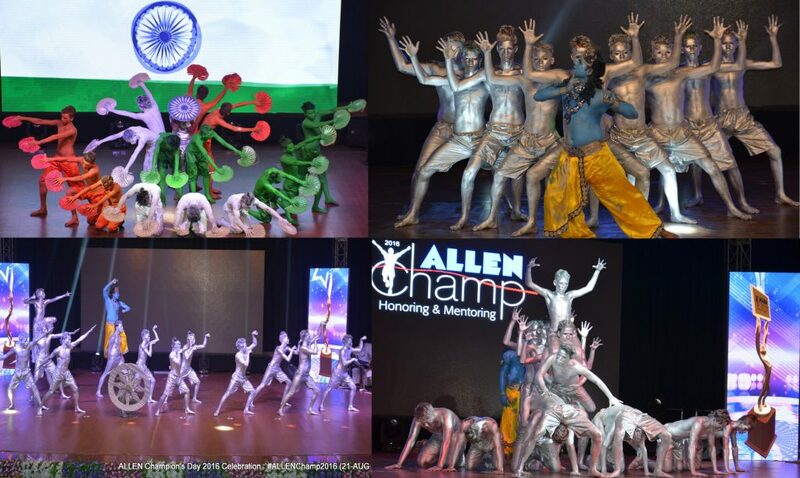 The event started with lighting of the lamp, Ganesh Vandana and Saraswati Pooja and was followed by various cultural performances, declaration of results and honoring ceremony of All ALLEN Champs.